Explore the elegant Chi Lin Nunnery Buddhist complex with a private guide. Visit Aberdeen with your private guide, Hong Kong's floating community. Ride on the iconic Star Ferry and Peak Tram. Visit Wong Tai Sin temple, specializing in fortune telling. 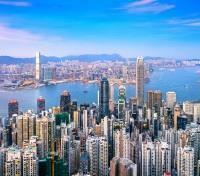 Discover Hong Kong with a private guide, a buzzing global hub of business, art, style and culture. A Hong Kong stopover grants you an opportunity to explore a truly unique segment of China with the expertise of a private local guide. Navigate the signature sights of Hong Kong with your guide, exploring Kowloon and its revitalized walled quarters where architectural and spiritual beauty have persevered. 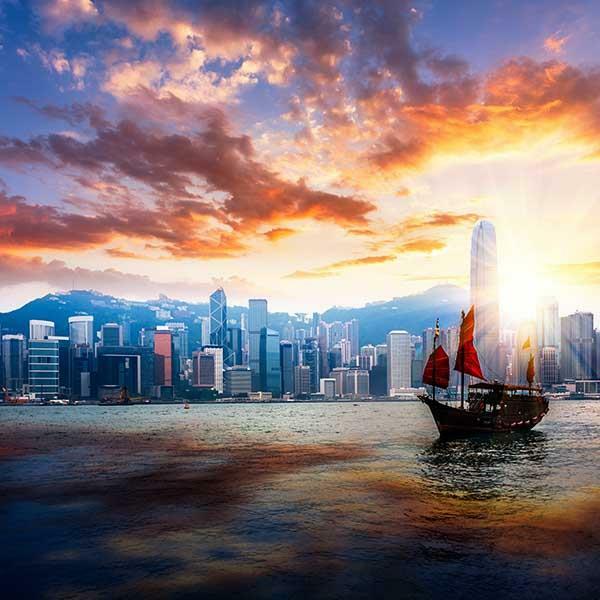 Visit Aberdeen, the floating community of Hong Kong, ride the iconic Star Ferry across Victoria Harbor, visit the Wong Tai Sin temple where wishes are said to come true, and take a ride on the renowned Peak Tram, the only way to experience the best of Hong Kong's natural beauty. On arrival at Hong Kong Airport, please proceed through immigration, collect your luggage and pass through Customs. You will be met in Arrivals Hall B by your Airport Representative holding a sign with your name on it. You will then be assisted to your private vehicle for transfer to your hotel. Set in a modern high-rise building, the chic luxury hotel is a 6 minute walk from Admiralty Metro Station and 1 kilometer from the tram to the picturesque Victoria Peak look out point. 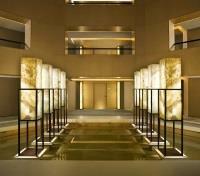 A calming contemporary hotel, The Upper House is a haven within the city. The hotel’s studios and suites are surprisingly spacious, featuring natural materials and gorgeous bathrooms. Enjoy thrilling views from Level 49 at Café Gray Deluxe. The Upper House is an intimate hotel full of surprises. Warm, friendly and informal, it’s a place where everyone is treated as an individual. Freebies include bike rentals and regular yoga classes. Amenities include a posh restaurant, a trendy café and a hip terrace bar, plus a gym. Hong Kong was once a simple fishing village. Today, it is one of the world's most cosmopolitan cities where East truly meets West. 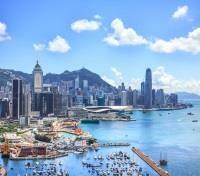 See all the highlights of Hong Kong Island on this orientation tour by private transportation. 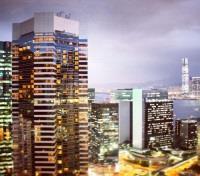 It is a great way to get to know Hong Kong and its famous landmarks and history. Start with a ride on the iconic Star Ferry as you cross Victoria Harbour one of Hong Kong’s greatest assets, a jewel that people marvel at no matter how many times they visit the city. Next enjoy a ride on the World's steepest funicular railway, the Peak Tram! Looking down from The Peak, you'll be amazed by the spectacular view of the surrounding city skyline, the world-famous Victoria Harbour and Kowloon, towering skyscrapers and peaceful green hillsides. You will then visit Aberdeen, the famous fishing village where you’ll see Hong Kong’s junk-dwelling “floating community” - still very much a part of Hong Kong life. An optional 15-20 minutes sampan ride can be arranged into the typhoon shelter for a close-up view of waterborne life. Next you will pass through picturesque Repulse Bay on your way to Stanley, a popular market town on the sunny south side of Hong Kong Island. Spend the remainder of your tour exploring Stanley's relaxed ambiance and markets where bargain buys have made it world famous. This tour reveals some fascinating Hong Kong heritage and starts with a visit to a charming parkland setting for a Qing Dynasty fort – The Kowloon Walled City Park. The Park sits on the very site of the former Kowloon Walled City, remembered today as a haven of crime and debauchery. Throughout the 20th century, fugitives and other criminals flocked to the lawless enclave. In 1987, with the agreement of China, the colonial government finally took control of the no-go area, resettled its inhabitants, and replaced the slum with a park. 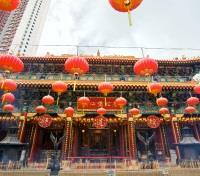 You will then visit one of Hong Kong’s most popular temples, Wong Tai Sin, which specializes in fortune-telling. The temple’s claim to ‘make every wish come true upon request’ might have something to do with its popularity. Home to three religions (Taoism, Buddhism and Confucianism), its natural setting and beautifully ornamented buildings make it as much a scenic attraction as an important religious centre. Next be amazed by the Tang dynasty-style Buddhist temple, the Chi Lin Nunnery. This Buddhist nunnery is stunning with its monastery complex having been renovated as a piece of Tang dynasty architecture. The grand and elegant complex will surely become one of China's great cultural attractions in the years to come. There are other halls containing a treasure trove of religious relics as well as restful lotus ponds and an array of well-manicured Bonsai trees.